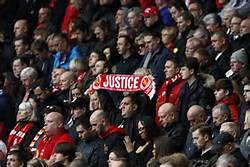 The inquest into the Hillsborough Disaster finally made its ruling on 26th April. It took 27 years, following a prolonged establishment and police cover up, to finally get the verdict that 96 Liverpool supporters were “unlawfully killed”. We are posting the article below by Steve Freeman and Phil Vellender of the RSA. It was first published in Chartist, before the inquest reported, and highlights some of the deeper issues raised. On the 15 April 1989 ninety six men, women and children died at the FA Cup Semi-final at Hillsborough stadium in Sheffield. The truth about this tragedy was concealed by the Crown for twenty three years. Yet at the same time we have to pay tribute to the tenacious struggle of ordinary people campaigning against such a shocking injustice.